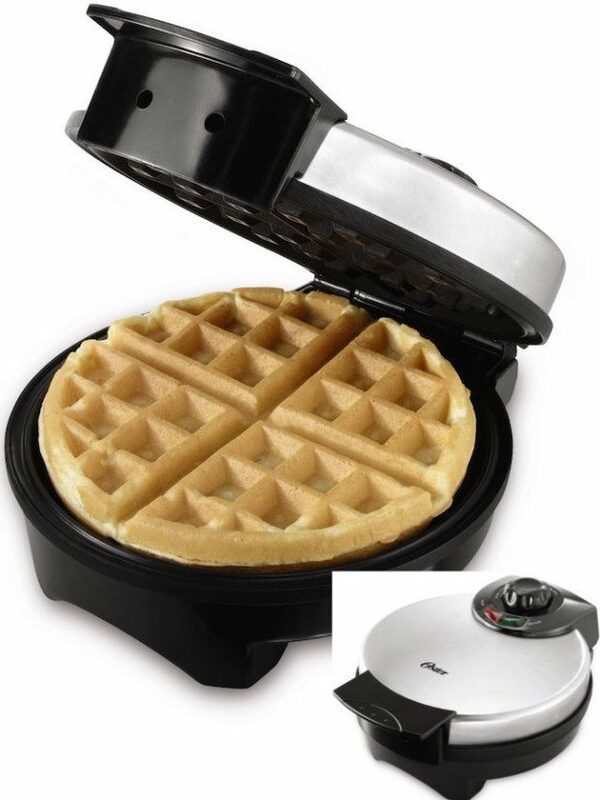 Oster Belgian Waffle Maker Only $17.86! You are here: Home / Great Deals / Amazon Deals / Oster Belgian Waffle Maker Only $17.86! Head over to Amazon and order the Oster Belgian Waffle Maker Only $17.86! Ships for FREE on orders of $35+ or if you have Prime! Stainless Steel housing; Adjustable temperature control for light and fluffy or crispy waffles. Nonstick cool touch handles. Power on and ready indicator lights!